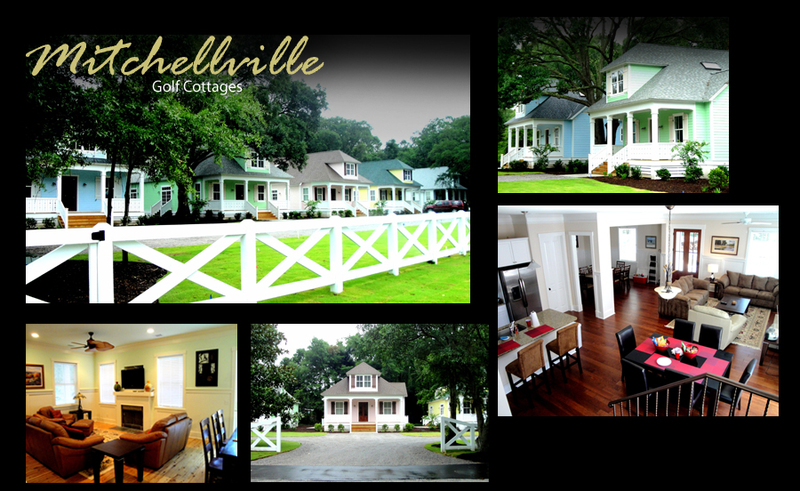 The Mitchellville Golf Cottages consist of five, 4 bedroom 4 ½ bath houses located in its own gated community. Experience the low country feel and southern charm with beautiful live oaks draped with spanish moss. A short walk to the beach and to the park and only a bike ride away from shopping, dining, entertainment and the golf school.